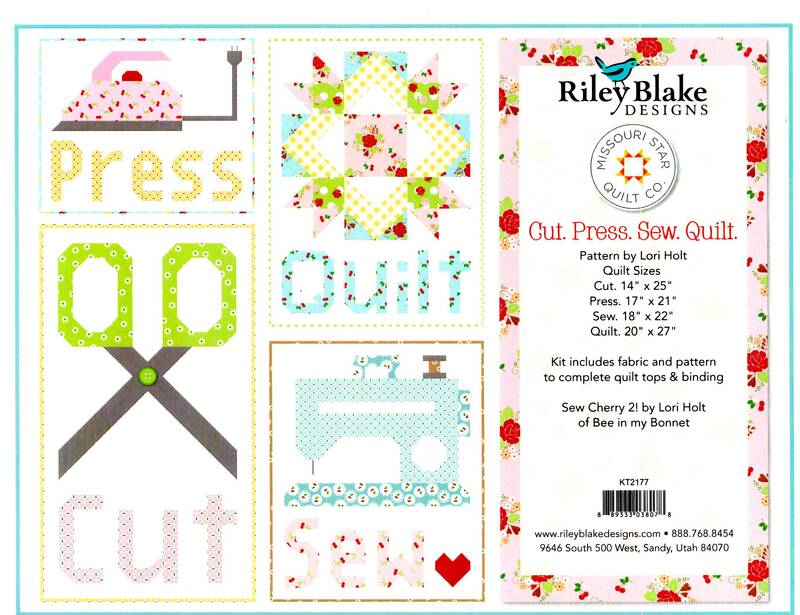 This kit includes fabric and pattern to complete quilt tops & binding. Fabric used is Sew Cherry 2 by Lori Holt. 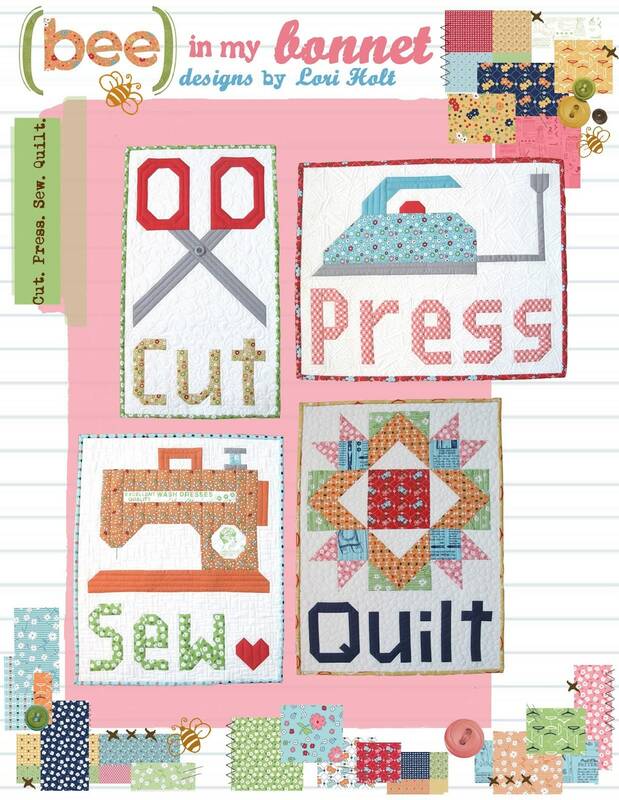 All of these projects (or even a few) would be fun to hang in a sewing room and would be a great gift for all of your quilting or sewing friends.